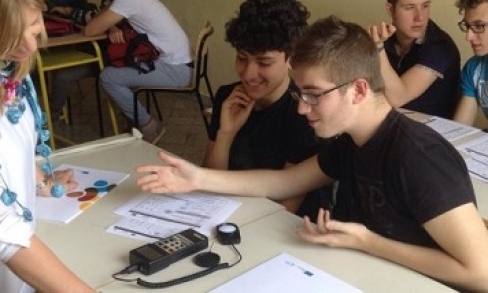 Energy efficiency, renewables and comfort are the topics of the MED-DESIRE energy efficiency labs, organized by ARTI and ENEA in the Apulian high schools within MED-DESIRE project. Strarting from May 7, the high schools involved in the initative will be guided by ENEA’s researchers to discover easy and smart daily actions to rationalise energies and decrease waste. The MED-DESIRE laboratory is divided in two sessions. In the first session the students will perform the expeditious and instrumental audits on the detection of thermal and lighting deficits of their classroom. Since 2015 is the International Year of Light, the laboratory will focus on the themes of lighting and heating in buildings, with particular reference to school buildings, as well as optimizing the use of natural resources through practice on the part of each user. The activity will focus on the integration of responsible use of energy resources through daily behaviors (low-cost strategies) and the use of technologies specifically designed to save energy (high cost). The session will clarify differences and interrelationships between energy efficiency, energy saving, comfort and use of renewable sources. In the second session, by playing a role game, the students can interact with the measuring instruments of light and heat, simulating a simplified energy audit and answering questionnaires on the subjective perception of comfort. MED-DESIRE energy efficiency labs objective is to make students and their family aware of the importance of the adoption of sustainable behavior in everyday life: at home, at school, at work and at freetime, everyone can contribute to save energy by changing their habits with small measures, adopting a conscious and responsible behavior towards energy uses, possibly using the best technologies available.